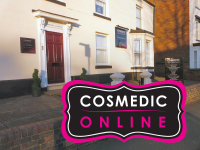 Cosmedic Online is the authorised stockist of all the leading cosmeceutical brands, offering high quality, evidence based, results driven products often only available from high end aesthetic clinics direct to the consumer at affordable prices. Cosmeceutical skin care products are able to successfully treat a wide range of skin conditions, including ageing, pigmentation, acne, rosacea, eczema, lines and wrinkles, dark circles, thinning skin and sun damage. Our online shop provides high quality genuine products, free delivery on orders over £25, convenience and excellent customer service. As well as offering a large selection of skin care ranges, we also stock a useful collection of consumables. 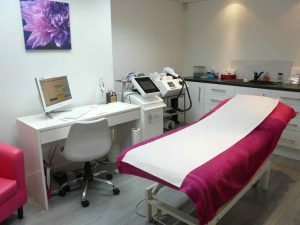 From our luxurious and upmarket clinic, we offer free, no-commitment, hassle-free consultations for all of our products and treatments and you will find all of the team extremely knowledgeable and highly trained in all of our procedures and skin care ranges. 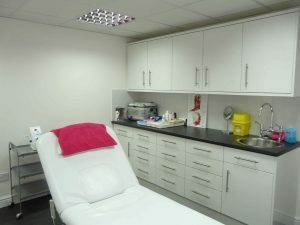 We stock all of our online products in our own clinic and customers can collect directly from Cosmedic Skin Clinic following a consultation to ensure the products purchased will give you the maximum benefit for your own individual skin type. 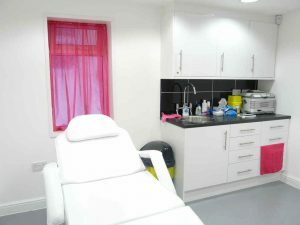 Alternatively we can offer advice either by telephone or online by completing a skin consultation form. Our reception team provides excellent customer service and have also received training in all of our products. We constantly receive extremely positive feedback from our clients and are always looking at ways to offer an even better service and welcome any feedback. Best wishes, the Cosmedic Online team. Cosmedic Online is the online shop for Cosmedic Skin Clinic, an award winning aesthetic clinic first established 10 years ago and run by leading aesthetic practitioners, Dr Martyn King and Sharon King RN NIP. Both are recognised experts in the field of aesthetic medicine and are national and international accredited trainers, holding certificates in all aspects of cosmetic medicine. They regularly write articles for leading cosmetic journals as well as television and radio and they are on the editorial board for Aesthetic Medicine. They are both regular speakers at national and international aesthetic conferences and lectured and demonstrated at many conferences including FACE, BODY, IMCAS, AMWC, CCR, BCAM, BACN, BAS, ACE and Professional Beauty. They have also conducted several clinical research trials and pioneered the 3D-lipolite clinical weight loss program. Dr Martyn King is a GMC registered doctor, Chair of the Aesthetic Complications Expert Group, Chair of the advisory board for Save Face, a member of the British College of Aesthetic Medicine, Board member of the British Association of Sclerotherapists and Medical Director of Cosmedic Pharmacy. Sharon King is an NMC registered nurse, an independent prescriber, board member of the British Association of Cosmetic Nurses, member of the Aesthetic Complications Expert Group, Nursing Director of Cosmedic Pharmacy and Head of Clinical for Schuco.